Yan-qing Quan was originated the end of Dynasty Tang, and developed by Lu Junyi at Shaolin Temple in Song Dynasty. Lu Junyi taught this boxing skill to Yan Qing, his apprentice. Then Yan Qing taught it broadly, thus, it was named Yan-qing Quan. This routine consists of 53 forms. Its actions are light and agile, flexible and changeful, with decent frame and enough force exerting, emphasizing the skills of the waist and legs. 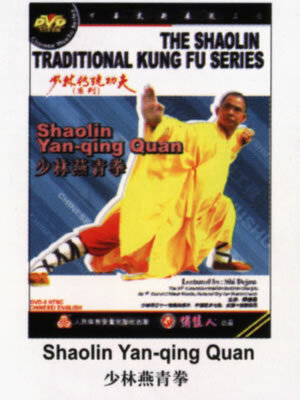 It's one of the excellent traditional routines of Shaolin Kung fu.